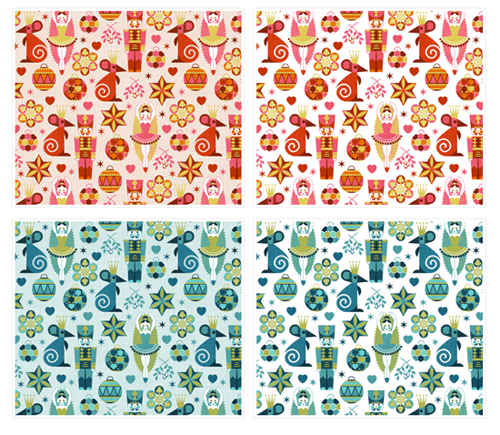 Over the last two days I have been working on a design for the Nutcracker contest at Spoonflower. This design co-ordinates with my Scandinavian style cut and sew designs. Now just to decide on which colourway to enter.